Fifty Two Days after the commissioning of Light Up Lagos Project by Governor Akinwunmi Ambode, at the Old Toll Gate end of Lagos-Abeokuta Expressway, the operatives of the Rapid Response Squad (RRS) of Lagos State Police Command, over the weekend, arrested a vandal digging up the armoured cable and removing its silver protector in Ojota area of the state. 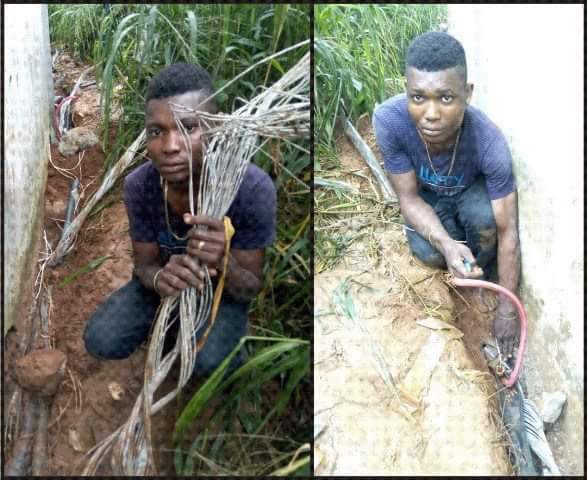 The suspected cable thief, Obaji Christopher, 23, from Benue State, was caught red-handed by RRS operatives who were on routine surveillance of Ojota loop, inward Ketu – Alapere Road at about 11:20 a.m. while pulling out the cable from the ground. Obaji, who explained to interrogators that he just got to Lagos two weeks ago, was seen with an accomplice still at large, digging up the armoured cable with hoe and removing its silver protector before he was arrested. One of the RRS men who arrested the suspect (who spoke on condition of anonymity) explained, “early on Saturday morning, during our daily patrol routine, we saw the suspect where he was vandalizing the armoured cable meant to electrify Lagos at a very unsuspicious corner in Ojota. “The cable was buried after it was laid. We saw him and his accomplice digging up the cable. He was using hoes to bring the cable to the surface, while his friend had on him a broken saw used in cutting some part in the cable. He was unable to take to his heels because we had already surrounded the whole area,” he said. Upon his arrival at the RRS Headquarters, the suspect confessed to the crime, saying that poverty led him into the act. In his confessional statement, the suspect said, “I just arrived Lagos about two weeks ago. When I had nowhere to sleep, I started sleeping inside Ojota park. It was at this park that I met one guy, simply identified as Anago, who introduced me to this job. The suspect explained further, “Anago told me that if I was able to go for two to three operations, I will have enough money to take care of my present predicament. On this very day, we went together to Ojota for the operation. When we got there, both of us dug the ground where the cable was buried”. 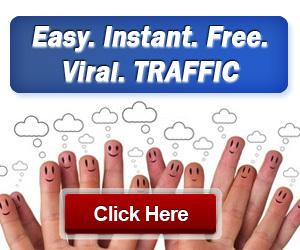 He added: “We had successfully pulled it out. But to my greatest surprise, I didn’t know how my friend escaped from the scene. When I was about to be parking the cable into a sack, I saw Policemen appeared. At this point, I didn’t know what to do again. That was how I got apprehended in the act”. The RRS operatives further conducted thorough surveillance checks around the motor park as part of efforts to arrest his accomplice, Anago, but proved abortive as the suspect could not provide reasonable address of the fleeing assistant, saying that they met at the motor park where they both sleep every night. RRS monitors who have kept a close watch on Light Up Lagos Project’s facilities in the area and Ogudu stretch, including armoured cable, observed that vandals were tampering with the facilities, thereby necessitating their close monitoring of the area. It was learnt that the Commander of RRS directed all officers to always check out the Light Up Lagos Project in order to protect and prevent vandals from destroying the Government’s facilities within the metropolis. It could be recalled that RRS on Saturday, April 2, 2016, arrested a similar cable thief, Lucky Udeagwu, for stealing a 35-meter-long armoured cable meant for the State Government’s Light Up Lagos’ project in Ogudu. While confirming the arrest, Lagos State Police Public Relations Officer (PPRO), Superintendent of Police, SP Dolapo Badmus, said that the state would not tolerate vandalism and sabotage of Governments’ efforts.